Last month, I received an email from the Department of Tourism of Sri Lanka inviting me to visit their country. I said yes almost immediately, especially since I have never visited Sri Lanka before. My Curio and American Tourister Backpack. Sri Lanka is a tropical island like the Philippines. Its predominant religions are Buddhism, Hinduism, and Islam. 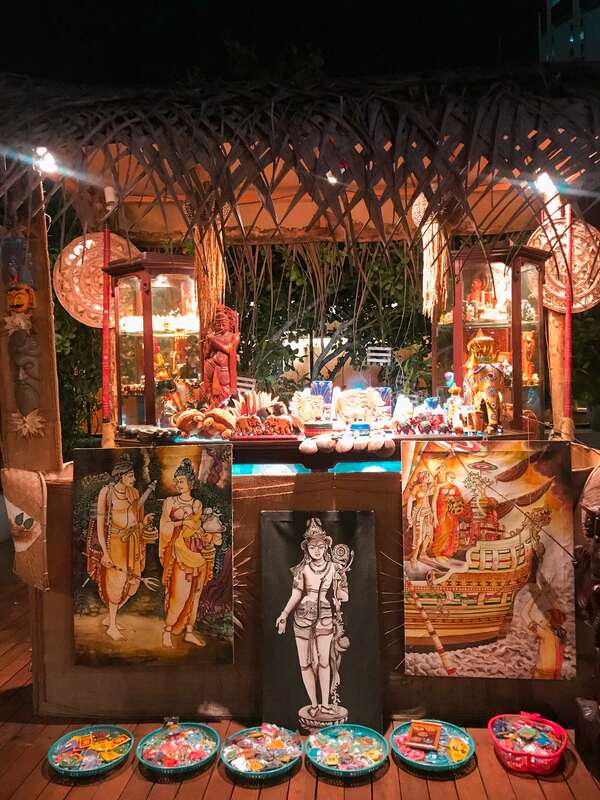 While its culture is carved by the Sinhalese and Tamil ethnic groups, it has also been influenced by the Indians, the Portuguese, the Dutch and the British. From the Philippines, there are no direct flights going to Colombo, Sri Lanka. 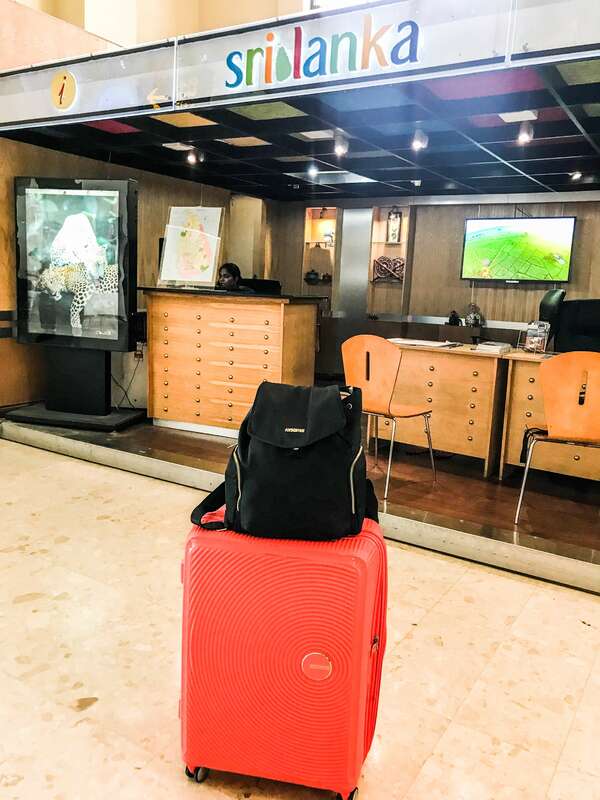 I flew into Singapore via Jetstar Asia Airways, had quite a long layover, then transferred to Srilankan Airlines enroute to Colombo, Sri Lanka. Exhausted upon my arrival, I wanted a bit of a rest before heading out for the city tour, so I headed towards my hotel, the Hilton Colombo. 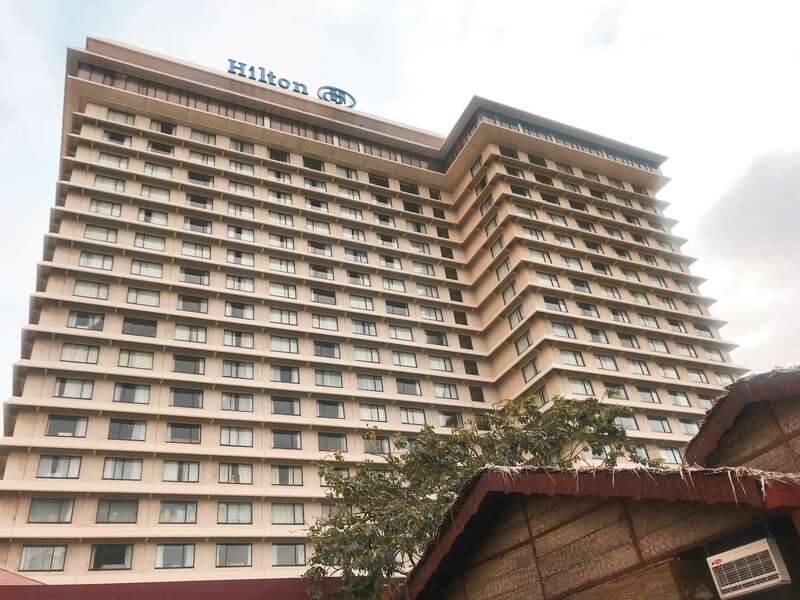 The Hilton Colombo is a 5-star hotel, and is one of over 500 branches of the global Hilton Hotels and Resorts. 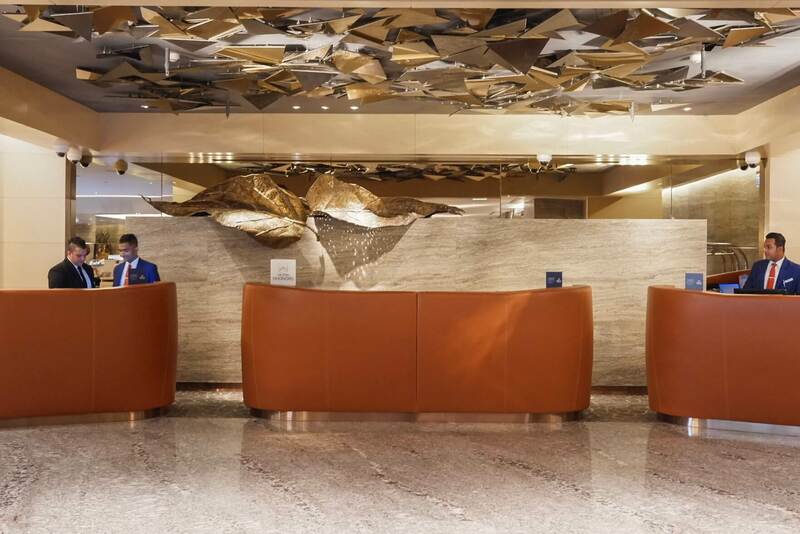 In 2017, it received special recognition from the prestigious World Travel Awards, particularly for the business hotel category. Likewise, Trip Advisor lauded it for consistently earning positive feedback from guests. The first thing I noticed right from the moment my car drove up to the Hilton Colombo Hotel was the attentive staff. Without being told, one immediately opened the car door for me, the other unloaded my luggage, while yet another greeted me and led me to the reception. Check in was a breeze. 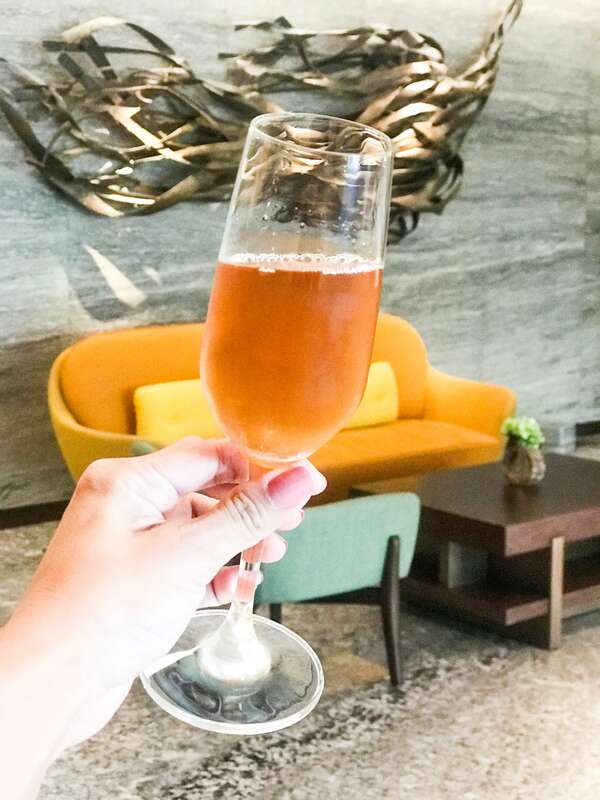 I was given a welcome drink while they checked my passport, and was escorted to my room shortly. On our way up, I was briefed about the available facilities, including the use of Wi-Fi. They took care of bringing my luggage up to my room as well. I was given a seaview guest room on the 12th floor that was very spacious and with an awesome view. 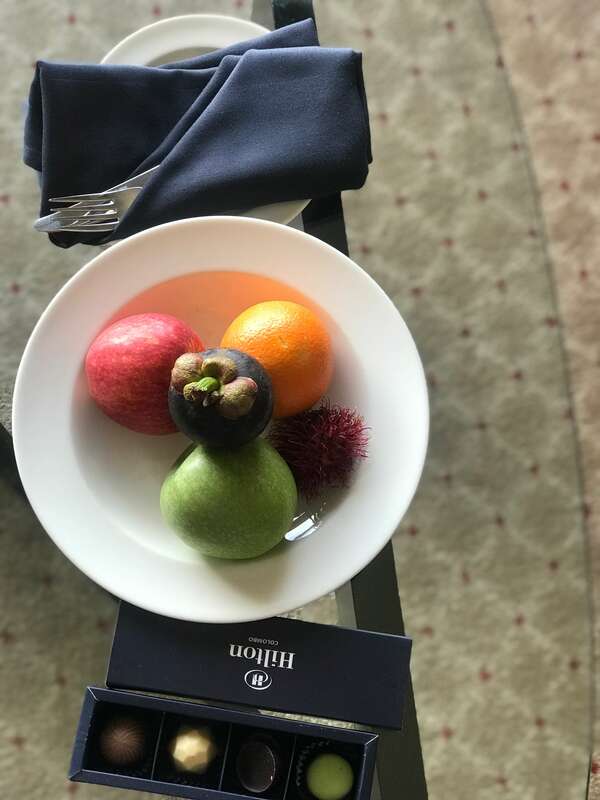 Through the large window, I could see the urban area, as well as a lake that merged with the ocean.With that sight, I almost forgot how hungry and tired I was.A complimentary welcome gift of fresh fruits and chocolates was much appreciated. 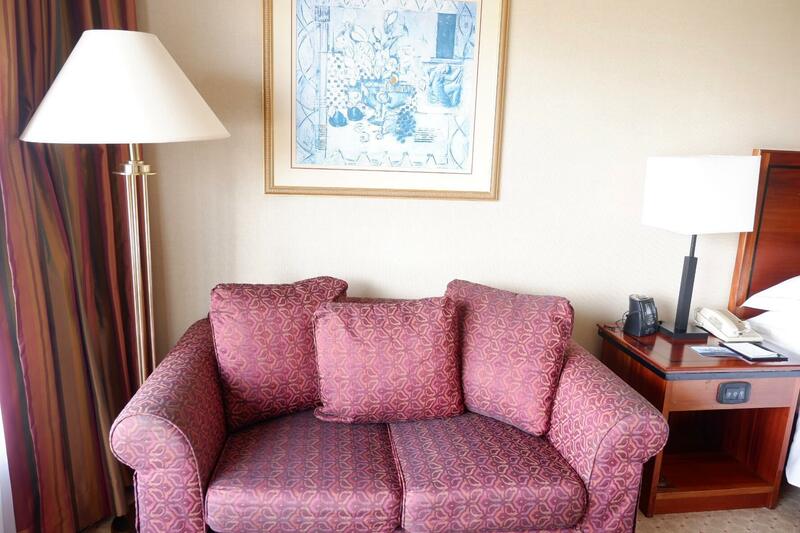 The room came with the usual amenities like a desk, tv, and a mini bar. It had a closet, a living area with couch, and a small table by the window. The ensuite bathroom was simple and came with a bathtub and shower. The hot water worked well, and the toiletries were Crabtree and Evelyn—-definitely a plus for quality. 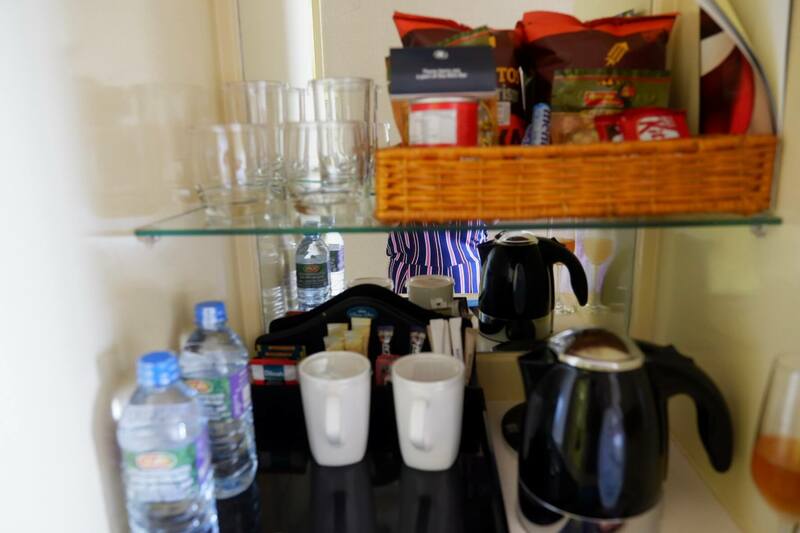 If your booked room is their bigger Executive Suite, it allows you access to a huge and exclusive VIP lounge area where complimentary breakfast and drinks are served. Here, at lunch, I got reunited with Patrick who was also part of the Kerala Blog Express. The Graze Kitchen’s interior design is nature-inspired, with a touch of elegance. While we enjoyed the ambience inside, there are dining tables set outside by the pond as well. The buffet stations of the Graze Kitchen are nicely decorated and well-organized; there is ample space for everyone to move around in. The food station lineup includes sandwiches and baked goods, a variety of cheese, Sri Lankan, Indian, other Asian dishes, Italian cuisines, and the sweets. I had a little of everything on my plate. I loved the colorful Thai Salad. The dim sum was good, moist and served hot. 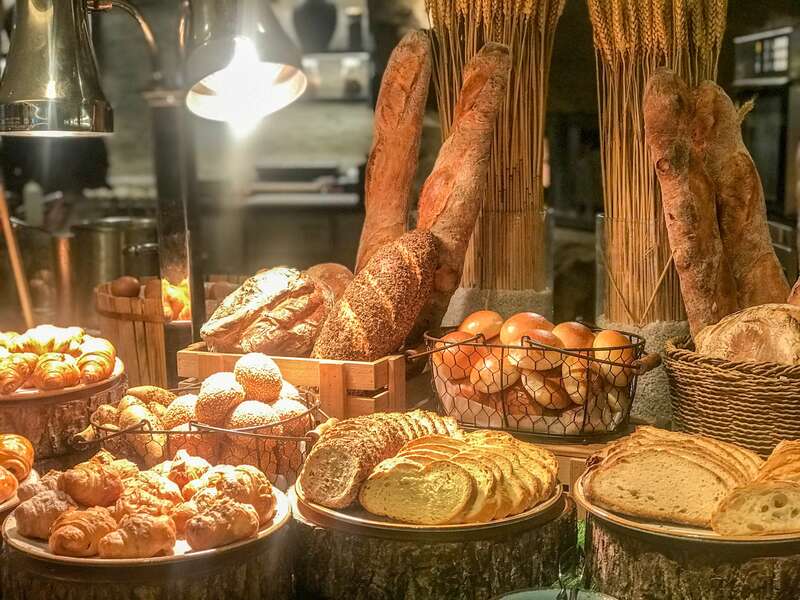 During lunch on weekdays, they add organic and vegetarian sections into the regular intercontinental buffet. 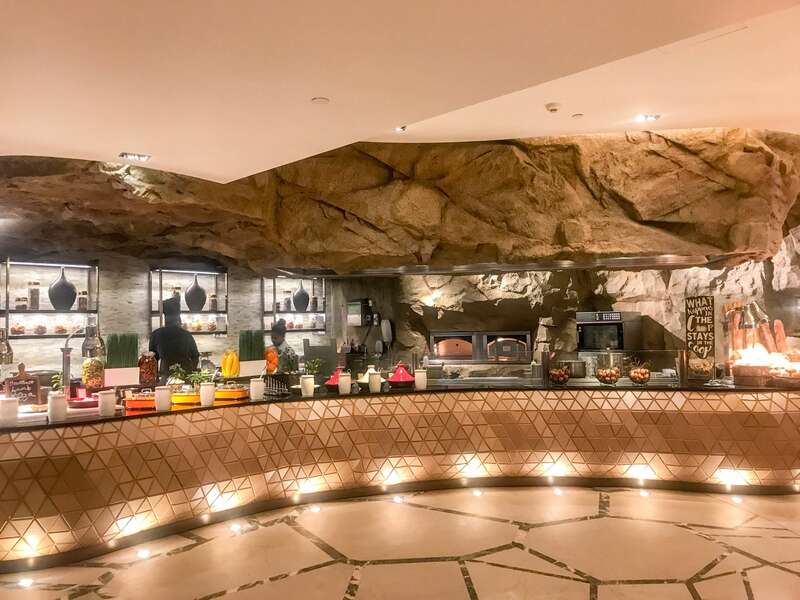 For this theme, they reduce their buffet rate to Rs 2,888 per person. The catch is to promote and support their local, fresh, and organic produce as well as to promote a healthy eating lifestyle. 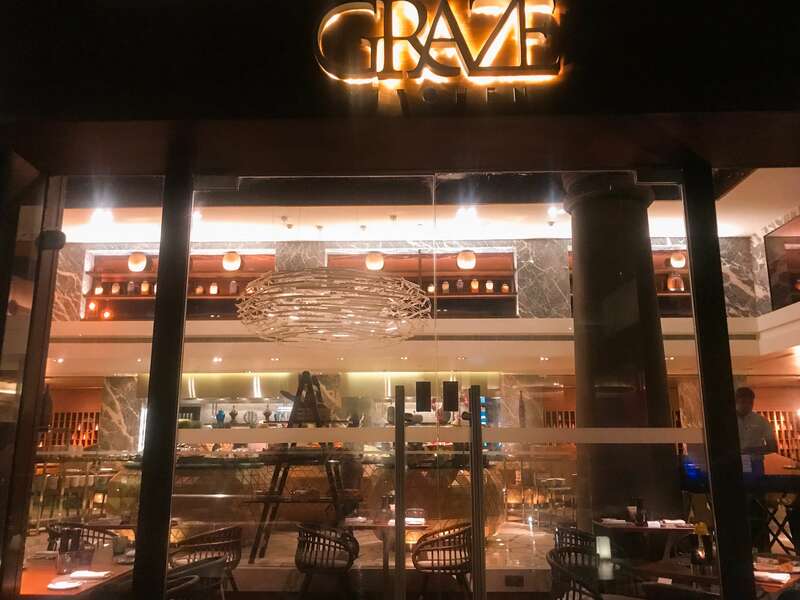 By dinner, the Graze Kitchen features roast dishes in their buffet lineup. What makes this even more special is that it includes imported Australian meat that is slowly cooked to perfection. For this, the buffet rate is at least around Rs 3,888 per person. The roast dishes station is also included in the buffet every Sunday lunch. Monday nights, the Graze Kitchen showcases a hawker street theme with style. It offers some of the best comfort food found in the streets of different food destinations in Asia. For those who do not want to do buffet, Graze Kitchen also has an a la carte menu. You may want to try something else, perhaps something Sri Lankan or a signature dish. 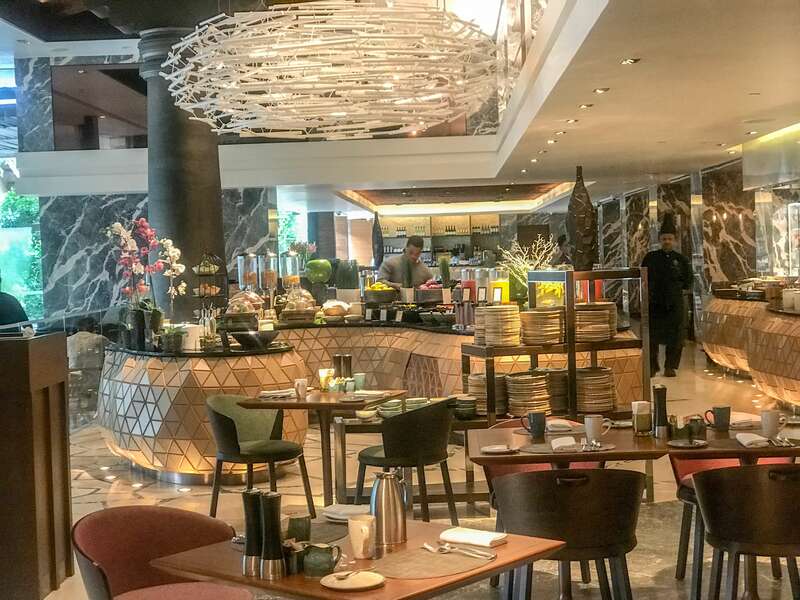 After an around-the-world lunch buffet at Graze Kitchen, we had our dinner at another in-house restaurant of Hilton Colombo. The Curry Leaf Restaurant is a seafood specialty buffet restaurant. 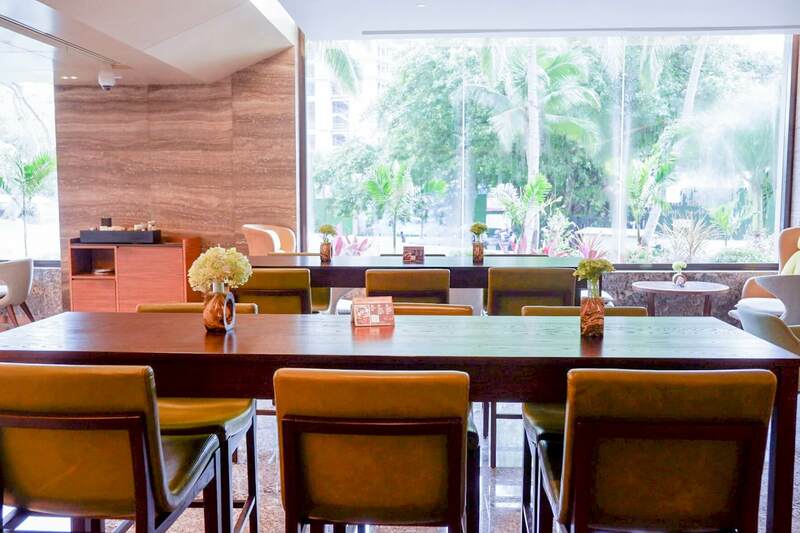 It stands out because they introduce Sri Lankan heritage through their food and ambience. 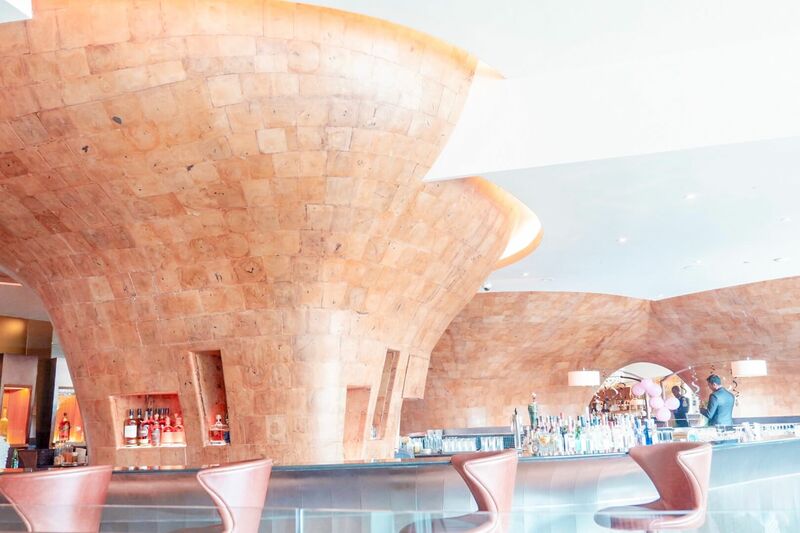 The overall design of the Curry Leaf Restaurant is impressive. 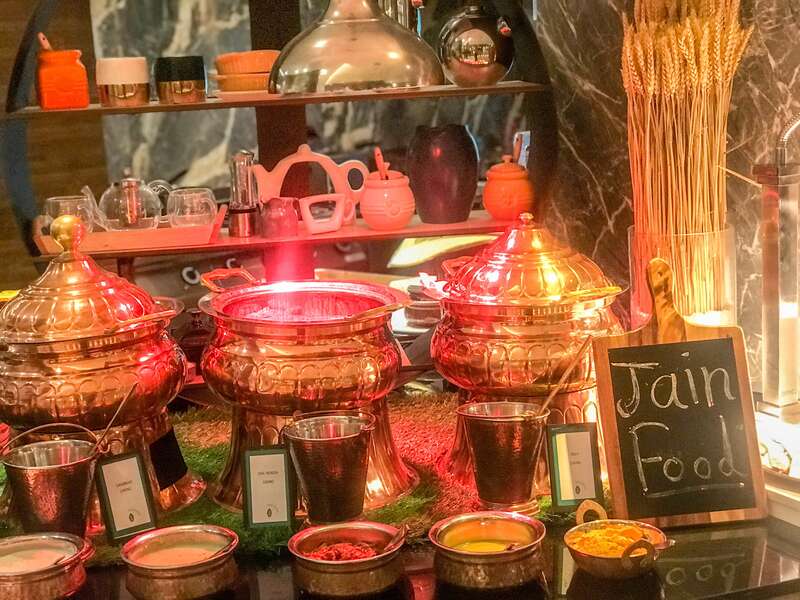 The buffet stations are a mix of modern and traditional style which makes for a good representation of a hawker center or a local Sri Lankan village perhaps. 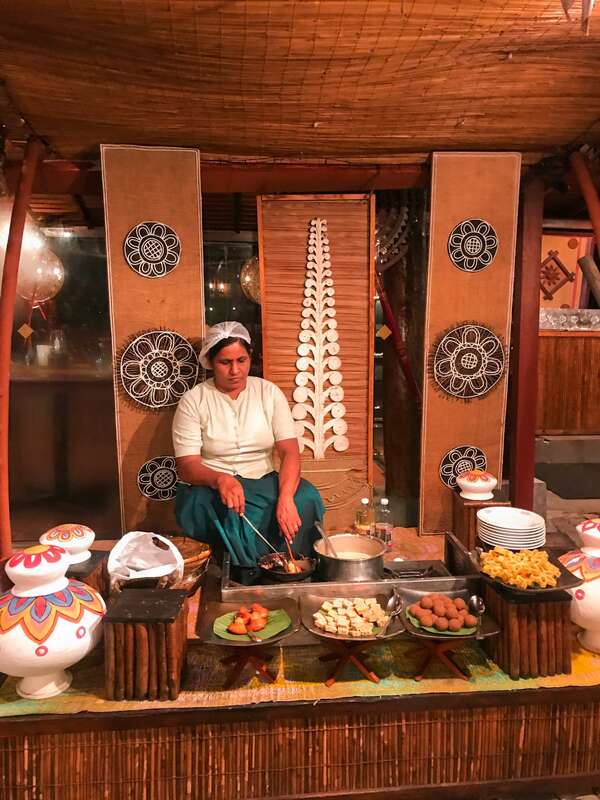 They give one an idea of how the locals typically prepare and serve their dishes. Chickpeas or “kadala”, for instance, are set on a bike, as if to depict how one would commonly find them along the streets. Under the cabana, they serve kotthu which is mixed and chopped roti bread, vegetables, meat, and egg. Under a modest thatched roof, they serve freshly prepared sweet delights like the kokis. Kokis are their festivity pancakes that are nicely molded. These delights are traditionally served during their Avurudu Festival. Served in claypots are a variety of curries, as well as other dishes. There are huge rooms for dining in the airconditioned indoor setting of the Curry Leaf Restaurant. Similar to Graze Kitchen, it also has an al fresco area, letting guests enjoy the tropical weather with a view of the pond. The Curry Leaf Restaurant showcases the wealth of the ocean. In addition to cooked dishes on claypots, they serve raw items kept fresh on an ice bed under a temperature-controlled area. You can personally handpick seafood which will then be cooked by the chef on the station. Regular buffet rate of the Curry Leaf Restaurant is around Rs 2,750. A separate price is charged for live huge prawns, crab and lobster. One of their best sellers for locals and foreigners alike is the Chili Crab. This one is also my favorite, as well as the black pepper prawns which i devoured like crazy. 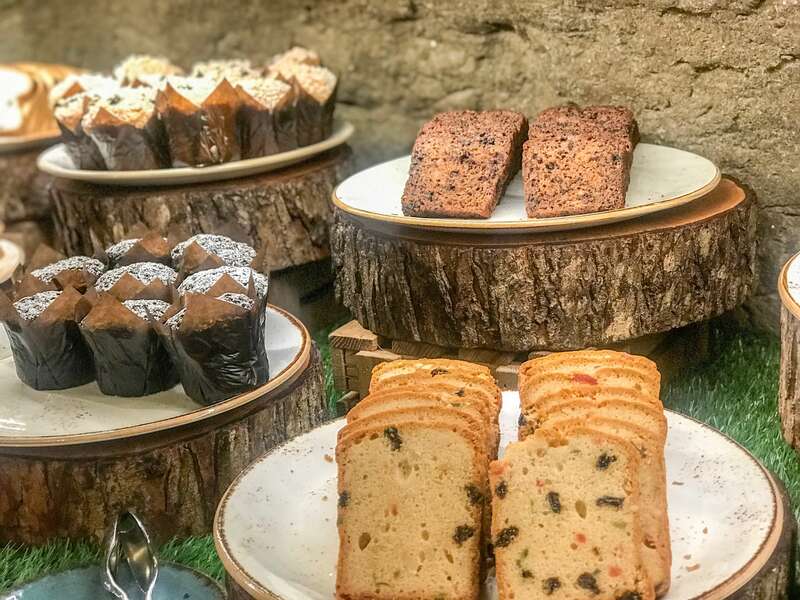 At the lobby of the Hilton Colombo are interesting colorful sandwiches, pastries and cakes made by their in-house restaurant, the Café Kai. 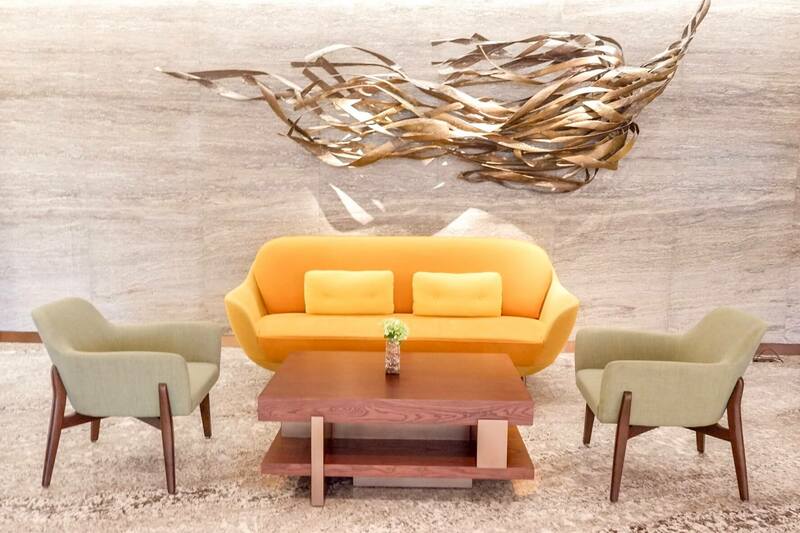 Meanwhile, the L.A.B (Lounge and Bar) offers a cozy but still elegant space both for formal or casual dining. An equally nice view of the pond will make you want to relax on the couch and order their high tea set for two. At night, they have a live band while you enjoy locally crafted toddy, beer, mocktails, and the like. The Il Ponte on the other hand, offers a laid-back setting with a view of the outdoor pool. On their menu, you can find a lineup of pizzas, pasta, and other Italian dishes. Some dishes on the Il Ponte menu are also offered at the Stella-Karaoke Lounge and Bar. At the latter, they have an in-house DJ and a shared karaoke where one can play the latest songs. I’ve mentioned that the hotel has a pond with a fountain. 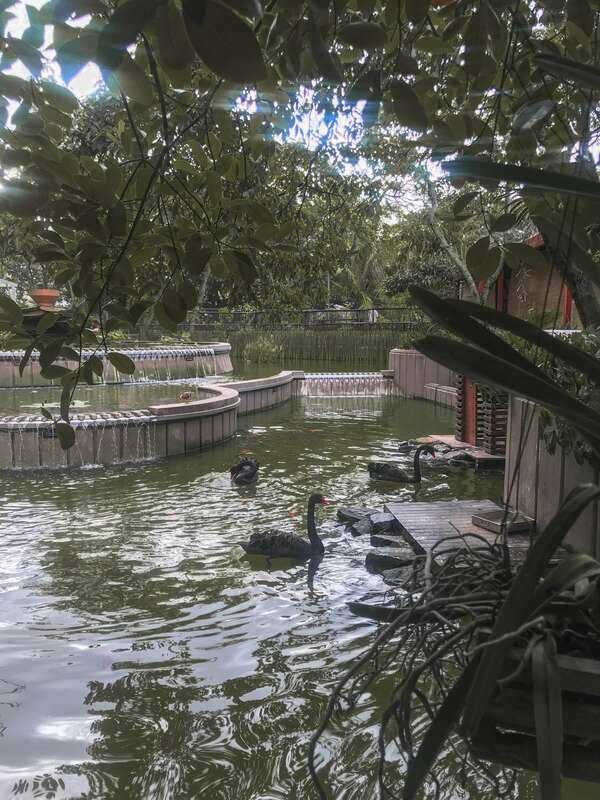 The pond is home to black and white swans, and kois as well. For recreation, the Hilton Colombo hotel has a tennis court, a fitness gym, and an outdoor lap pool. The pool is serviced by the bar, so light meals and drinks may be ordered. When I come back to Sri Lanka, I would definitely want to stay at the Hilton Colombo Hotel again. It is an ideal base after a long layover. Kudos to attentive services, good local and intercontinental dining options, and its ideal location. The Hilton Colombo Hotel delivered five-star quality service right when I arrived, and throughout my whole stay. Their rooms had everything I needed, with the Crabtree and Evelyn toiletries being a great bonus. It is also nice that the Hilton Colombo Hotel houses 6 dining options. Each of them is unique in terms of atmosphere, food, and overall concept. It is nearby tourist attractions, the railway station, and commercial establishments. It is less than an hour away from the main International Airport. 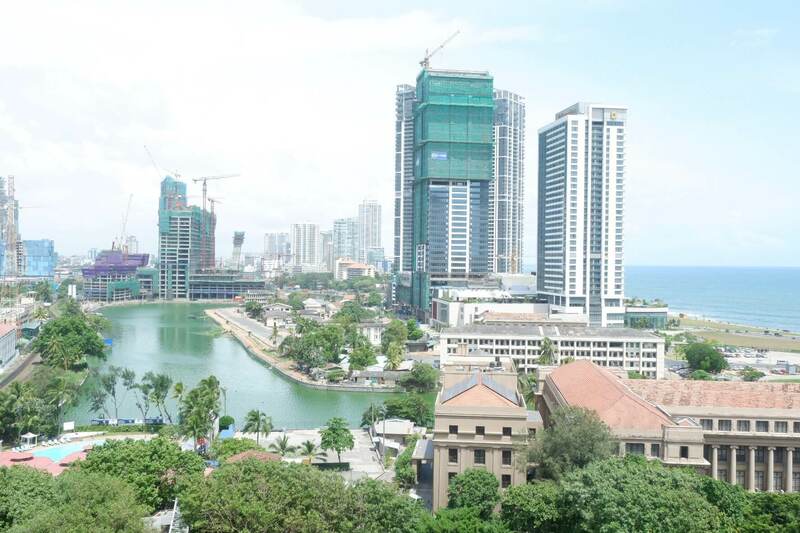 It definitely has one of the best locations that a hotel can have in Colombo.